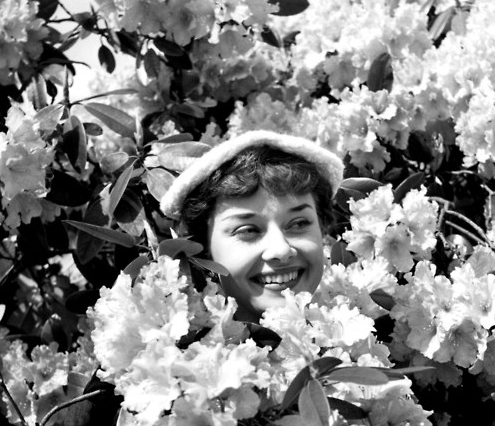 Audrey Hepburn once famously said “to plant a garden is to believe in tomorrow”. I have to agree with the old gal. Notice that she gracefully dances around the word hope. She could have easily invoked the H-word, but instead asserts that by nurturing plants we believe in tomorrow, while not being bound to a preconceived fantasy that the future will be better than our present condition. A wise acknowledgment that the future exists, at least as a notion. Had Hepburn been a Buddhist, she might have further explained how hope can at once make the present moment easier to bear, and yet at the same time imply the other side of the coin – fear. She might have also believed in the idea of a Maitreya. But I’ll save that for a future post, if you believe in such a thing. Hope as a Buddhist concept has been particularly challenging for this novice student of the teachings, and yet ultimately revelatory. Now, Obama’s once jubilant supporters, myself among them, seem to be suffering from a hope-hangover. Promises not completely met, once bold rhetoric reduced to carefully edited soundbites. The hangover made me bitter. I quietly resented Obama for devolving into a business-as-usual politician. What I’ve come to realize is that my disappointment was directed at the wrong thing. Instead of hating on one person for failing to meet every unreasonable promise, I should turn my attention to the hope that started it all. In my everyday life, how can I work towards a better future by creating the best present, while acknowledging hope for just what it is – a way to endure our current hardships. Awakening to this understanding hope has been like silencing a nagging buzz in the ear that was nearly imperceptible and yet always distracting. Awakening to this new understanding of hope has made the idea of hopelessness sound downright inviting. I thought it might be funny to hang a big sign on the front gate of our urban farm that says “ABANDON HOPE ALL YE WHO ENTER”, but thought better of it since farm work leaves little time for the discussion required to dig into the implications of such a message. Instead, I’ll just strive to be present for every moment, planting seeds and believing in tomorrow without clinging to hope.